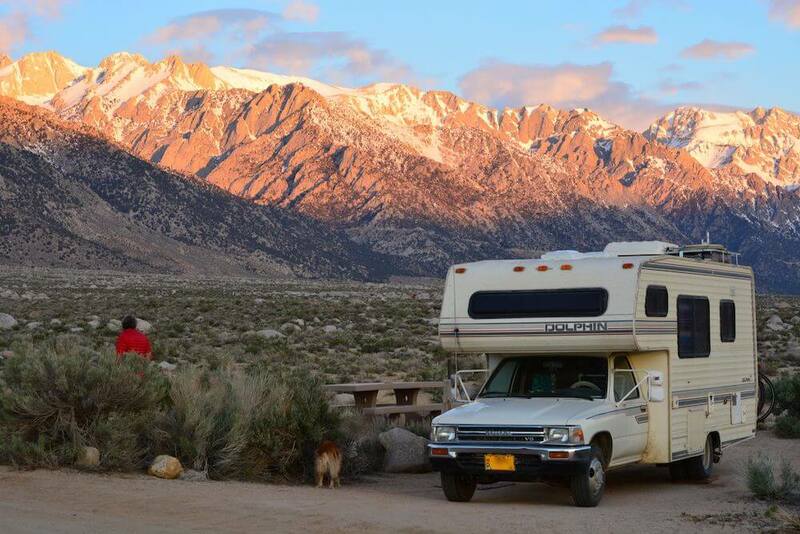 For two years Tom and I traveled all over North America in our 1989 Toyota Dolphin camper. We saw oceans, mountains, deserts- the list goes on and on! Throughout this journey we took tons of photos. Here we will use our favorite photos to give you a glimpse at what it's like living in a camper full time! When we bought our camper we knew that we were planning to give RV life a try. We sold most of our possessions and moved into a 1989 Toyota Dolphin. The above photo is the first picture we took once we began officially living in a motorhome. The previous two photos were taken in Death Valley, a surreal area that we think is one of the most underrated natural wonders in the US. We spent nearly a week exploring the otherworldly landscape of Death Valley National Park. 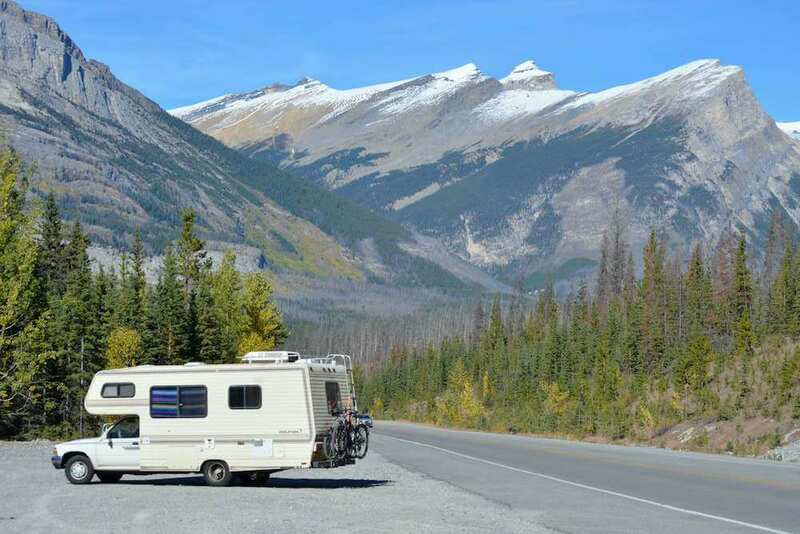 One key to cheap RV living is to travel slowly because gas gets expensive! The next stop on our full time RVing adventure was Mexico! Baja, to be exact. This was the view from our dashboard as we drove through the incredible Mexican desert scenery. Baja is basically divided into desert, ocean/sea, and lush areas loaded with fruit trees. If you're considering your own Mexican travel adventure be sure to grab Lonely Planet's guide to Mexico! The next photo is from a more tropical area of Baja that we love to visit. After spending a winter in Baja we were really adjusting to the RV lifestyle, and we made our way back to the United States (where we were hit with some intense reverse culture shock). Re-entry was tough, so we decided to stick to the beautiful, remote areas along Highway 395 for a while. The photo below was taken at the Black Rock Desert, a huge area of BLM land in northern Nevada that is also where Burning Man takes place every August. Black Rock is a special place for Tom and I since it's where we met, and we love to visit this otherworldly stretch of desert. We spent the summer bouncing from festival to festival, and had a BLAST. We're often asked how we can afford to attend so many festivals? The answer is simple- we volunteer! Volunteering at a festival will often get you a free or reduced price ticket, and at some festivals there are even more perks. Full time RV living really lends itself to festival travel. When we have a festival on our calendar we can slowly camp our way across the country to wherever the festival is. Last summer we camped in Northern California, Oregon, and Nevada, all on our way to our favorite festivals. 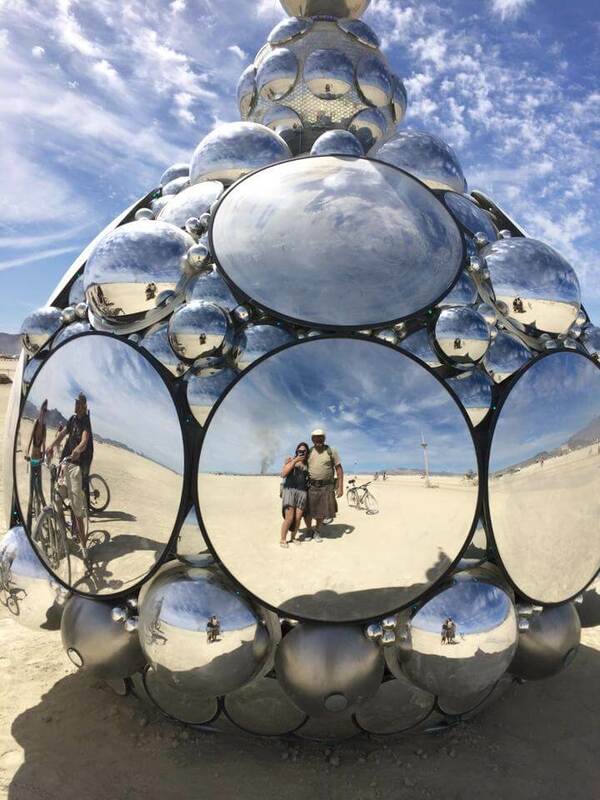 (We took the below photo at Burning Man). After Burning Man we slowly made our way north through Oregon, Washington, and into Canada where we drove the Trans-Canadian Highway West to East! The Trans-Canadian Highway runs the entire length of Canada from the West coast to the East coast. We drove it 2700 miles from Vancouver to Niagra Falls, and it was incredible. 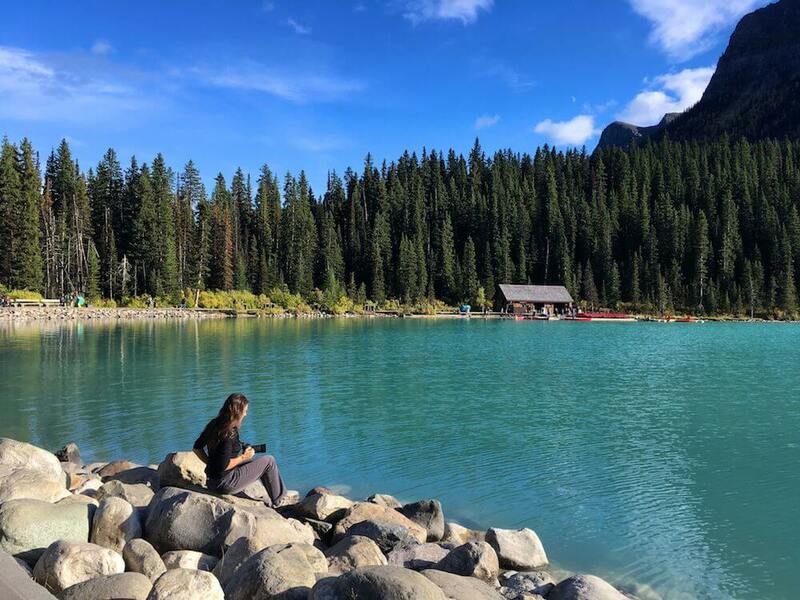 The Canadian rockies are some of the most spectacular natural sights we've ever seen. The above photo was taken on the Ice Fields Parkway between Banff and Jasper National Parks. 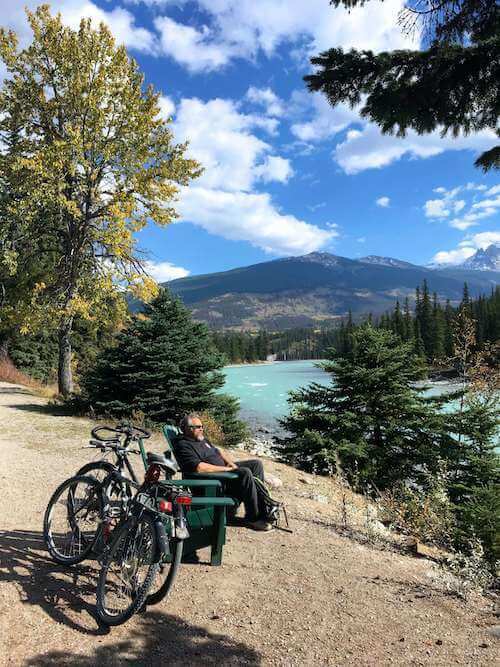 In this area we camped in dense forests, on glacial rivers, and we even pulled our bikes off the camper for some trail riding. This is what living in a camper is all about- more time outdoors in some incredible nature! Living in a camper full time means I find myself working in all sorts of environments. 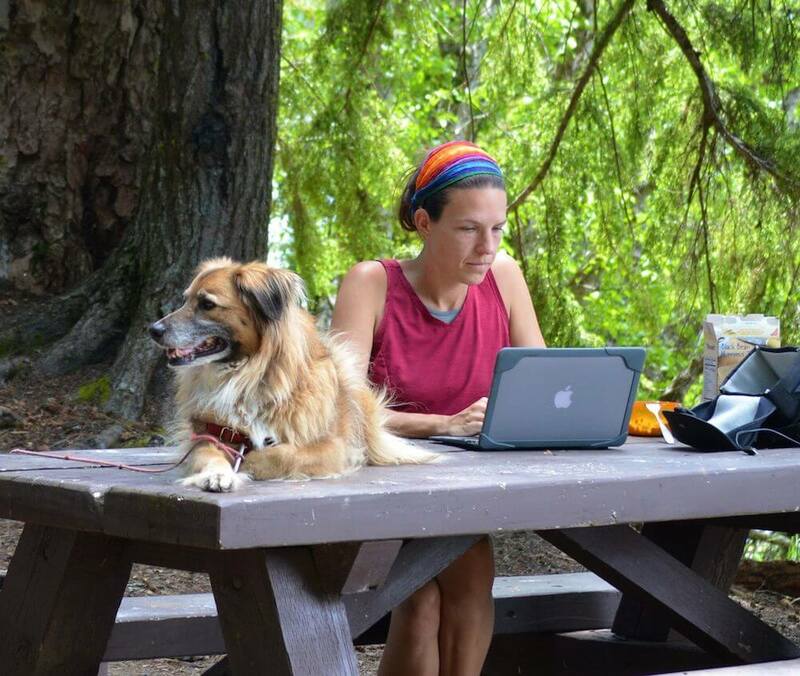 Many a blog post has been written while sitting at a picnic table in the forest! I've also gotten really good at hunting down reception/wifi! 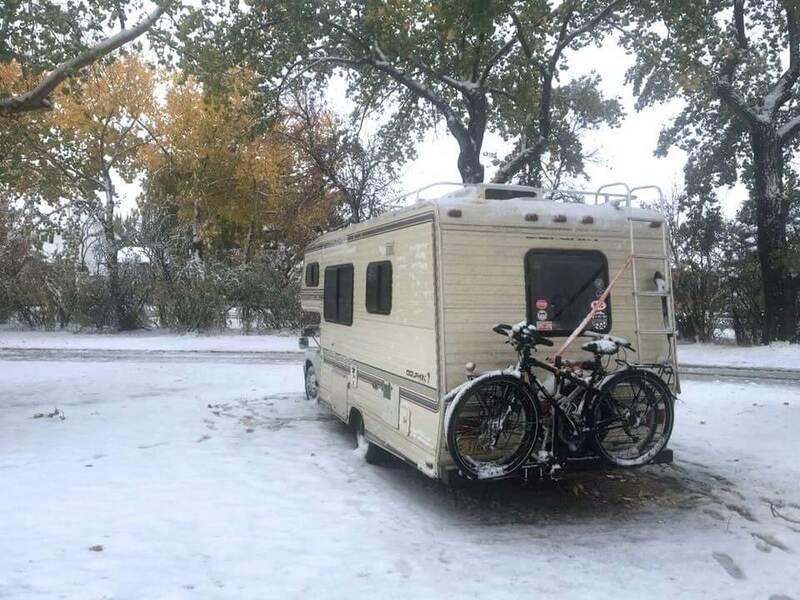 About halfway across Canada we had to speed up our road trip due to some early snowfall (RVing in snow is not much fun). So we hightailed it to Connecticut to visit Tom's family, but not before we got caught in a solid snowstorm! After a long visit with Tom's family we made our way to Santa Fe, New Mexico! For my birthday I wanted to climb, crawl, and play at Meow Wolf, an art exhibit that is the ultimate psychedelic playground. Meow Wolf did not disappoint, and we had a blast exploring the exhibit for a day. From Santa Fe we made our way back to the Baja peninsula in Mexico. We are still there at the moment, enjoying kayaking, snorkeling, and basically relaxing the winter away. The above photo was taken by our friend Bryan over at @la_copacavana, check out their Instagram for more beautiful Baja photos! Living in a motorhome full time was an epic travel experience, and we learned so much along the way- about ourselves, AND about RVing! 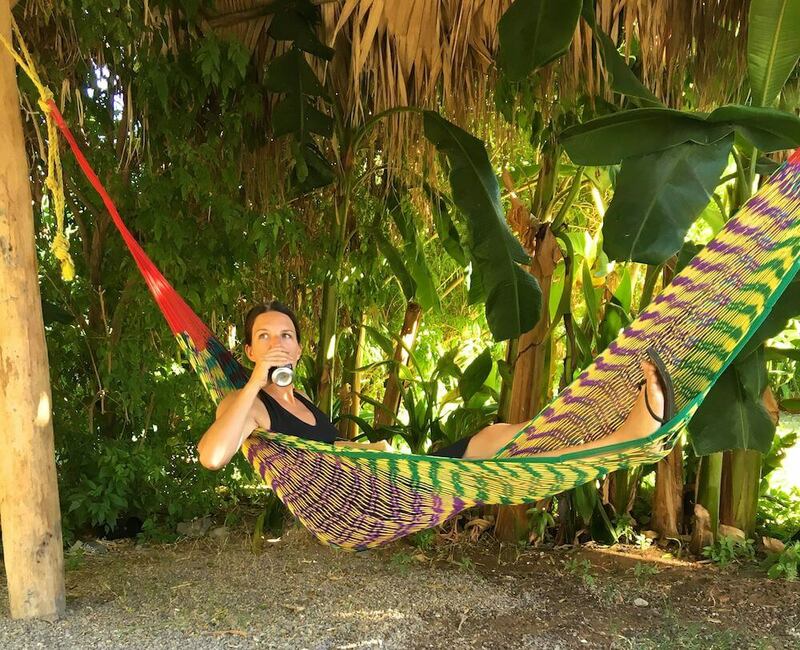 For all of our best tips, tricks, and advice check out our ebook Nomads in Campers: A Step by Step Guide to Living your Nomadic Adventure! Are you considering your own camper adventure? Be sure you have everything you need for your camper life! Interested in Burning Man but not sure if it's for you? 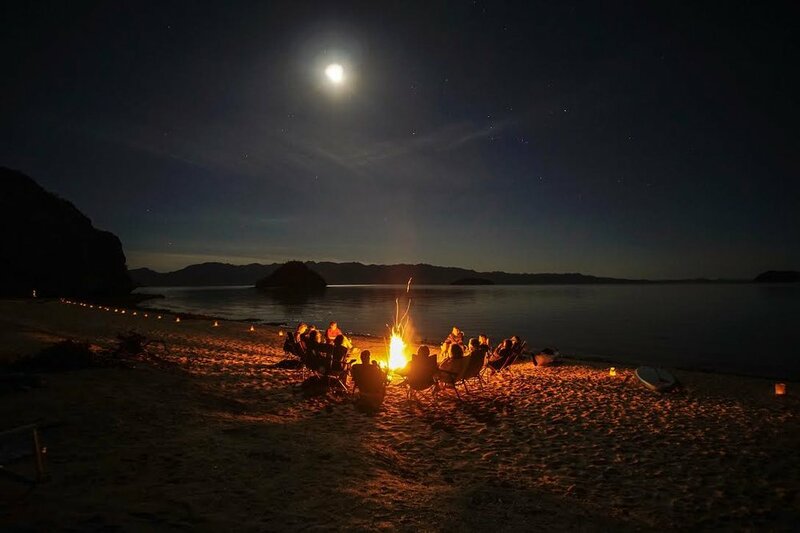 Check out our post: Should I go to Burning Man? 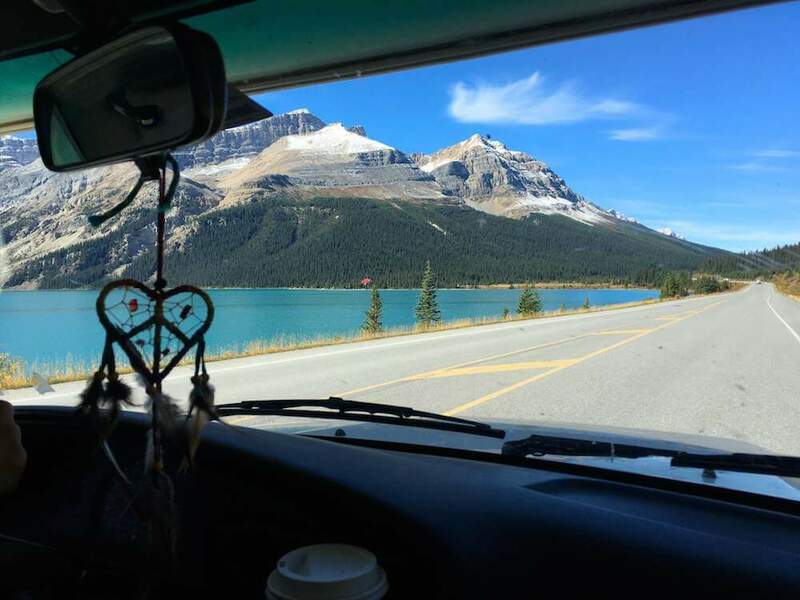 Wondering about the best RV to live in full time? Read about why we chose a Toyota Dolphin for full time travel.